Italian performance motorcycle leader Ducati is heading to South Dakota this August for the first time to thrill the hundreds of thousands attending the Sturgis Motorcycle Rally. 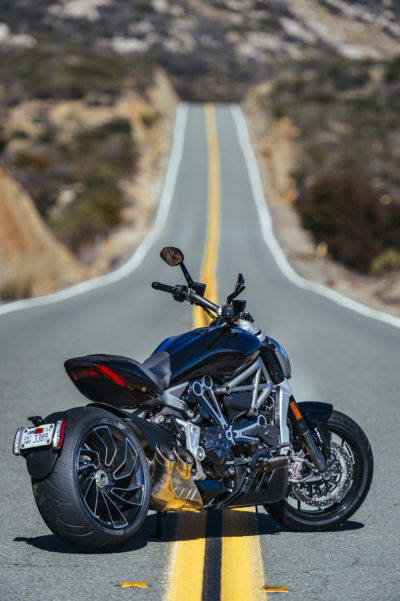 Ducati will be hosting various events throughout the rally between August 5 and August 13, which will include unveiling an XDiavel customized by Roland Sands Design (RSD) as well as test-riding opportunities. 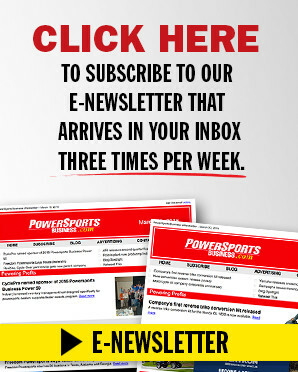 The action began on Friday, August 5, when the Ducati XDiavel Xperience Tour offered spirited test rides, daily, between 9 a.m. and 5 p.m. at the Holiday Inn Express Sturgis, located at 2721 Lazelle Street. In addition to the demo rides that will run through August 13, Ducati will be presenting its entire XDiavel product line, along with an XDiavel Lounge and XDiavel Café built on-site for guests to enjoy while experiencing the festivities. On Monday, August 8 at 8 a.m. a group of XDiavels joined the Sturgis annual Mayor’s Ride with Sturgis’ Mayor Mark Carstensen as they rode through several of the Black Hill’s most spectacular two lane roads and byways, to support the Sturgis Volunteer Fire Department, Ambulance Service & Police Reserves. On August 9, Ducati and Roland Sands unveiled the XDiavel designed by RSD during a pool party at the Pappy Hoel Campground. The event included blue skies, cool water, live music, raffles and a bikini contest, which was co-sponsored by Ducati partners Bell helmets and Roland Sands Design. Wednesday morning August 10 the XDiavel crew will join AMA National Champions and former World Superbike competitors Ben and Eric Bostrom for their 3rd Annual Boz Bros Ride. Ben & Eric will treat the group to refreshments before the ride begins at “Sturgis Guns” located at 2324 Junction Ave, Sturgis SD 57785. Registration starts at 7:30 a.m. and departs on a 60-mile ride through the Black Hills. Lunch, beverages and swag will be provided after the ride with all the “free will” proceeds going to the Sturgis Police Department. After the Scrambler Ducati’s first win at the Super Hooligan flat track race in Austin with Jamie Robinson behind the bars, the Scrambler will return to the dirt track with the Super Hooligan race presented by RSD the evening of Wednesday, August 10. 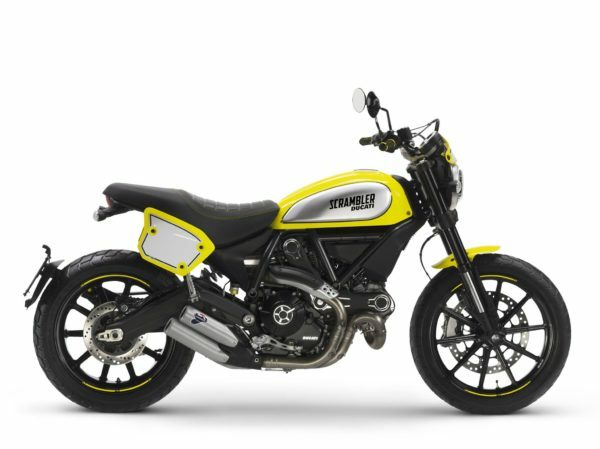 Ducati’s exclusive dealer in Nebraska, Ducati Omaha, will campaign the flat track inspired Scrambler Flat Track Pro in stock trim with the exception of the removal of the front brake & headlight and the addition of a Termignoni slip-on exhaust. Come out to cheer on the Scrambler Ducati and Ducati Omaha team from 4:00 – 7:00 p.m. at the infamous Sturgis Buffalo Chip during the Moto Stampede. The XDiavel is Ducati’s new entry into cruiser motorcycles, with a relaxed riding position, belt final drive, low seat, and forward controls. Those interested in test rides can participate with a valid motorcycle license and proof of insurance. All riders must provide their own riding gear, including DOT-approved helmet, long-sleeved shirt or jacket, gloves, long pants, and over-the-ankle boots. Bell Helmets has kindly agreed to provide a selection of their helmets for demo riders to borrow should they need.